High prices and tighter lending conditions aren’t dampening consumers’ optimism and enthusiasm for real estate in the Toronto region, where half of homebuyers still expect to purchase that most expensive and elusive asset, a detached home. Even as the price of the average Toronto area detached home climbed to about $1 million this fall ($1.3 million in Toronto), half of buyers in the region say that’s the kind of house they expect to purchase, according to the Ontario Real Estate Association (OREA) Ontario Home Ownership Index being released Tuesday. “People are optimistic about the housing market in 2017. We actually see an increase in people who are looking to buy and an increase in the number looking to sell a home,” said OREA CEO Tim Hudak. The index is based on research conducted twice a year by Ipsos Reid to gauge Ontarian’s perceptions of the real estate market and the economy. Overall, the index rose two points to 131. It shows that 49 per cent of Toronto area residents expect their city’s real estate market will be stronger in the coming year, compared to 46 per cent this year. Twenty-two per cent of survey respondents said they expected to buy a semi-detached home and 19 per cent were in the market for a condo, a drop from last year when 26 per cent identified that housing choice. “It’s part of life that we, as human beings like to have a little bit of space when you’re raising a family … You’re really seeing the increase in prices are among the detached and semi-detached homes because people at some time in their lives, they often want a little bit of space for their garden or to kick the soccer ball around with their daughter,” Hudak said. But changes from government are impacting some buyer attitudes. “There is a sentiment too among first-time home buyers that some will be forced to put off a decision or look at a smaller-valued home because of the recent changes on mortgage insurance and the stress test,” he said. Hudak, former leader of the Ontario Progressive Conservative Party, praised the Liberal government for doubling the first-time buyer rebate on the provincial land transfer tax to $4,000 on homes up to $300,000. That’s the range most buyers outside of Toronto are considering and it’s still helpful for Toronto consumers too, he said. “We’re hopeful the city will match that instead of clawing it back. I remain optimistic about that,” said Hudak, referring to a recent city manager’s report that suggested Toronto could raise some badly needed revenue by harmonizing its land transfer charge — the only such municipal tax — with the province. As vigorous as the market has been in 2016, with prices up about 20 per cent year-over-year, half of Toronto area residents say they expect it will be even stronger next year, according to the Ipsos data. 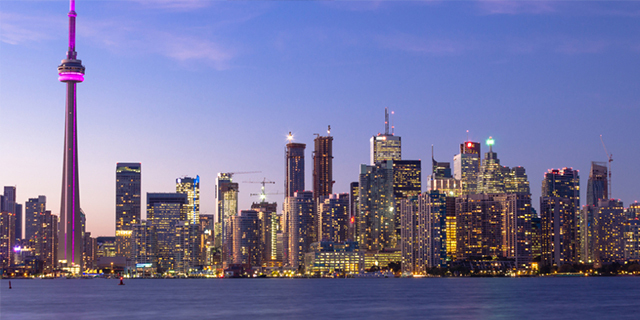 In the City of Toronto, 52 per cent of respondents said the current residential real estate market is favourable. That was up 10 index points from last year’s survey. Residents in the 905-area communities were even more favourably disposed to their real estate picture, at 57 per cent. That was down, however, seven points from last year. More than half of survey respondents saw real estate conditions as favourable. The online Ipsos survey of 1,003 Ontario residents for OREA was conducted between Oct. 27 and 31. It is considered accurate within 3.5 per cent 19 times out of 20. Toronto area residents who said they planned to purchase a home in the next two years — up from 15% last year. That compares to 14% of Ontarians who said they would likely buy in the next two years — a seven index point increase over last year. Toronto area respondents who plan to sell a home in the next two years, up from 14% last year. Likely home buyers in Ontario who believe their local economy is good. 76% of those likely to sell their homes say the same. Ontario first-time buyers who say they will need to keep saving for a 20% down payment to meet the government’s more rigorous mortgage requirements. First-time buyers who say they have to postpone their purchase because of the new lending rules. First-time buyers who will look for a less expensive home in the same city.